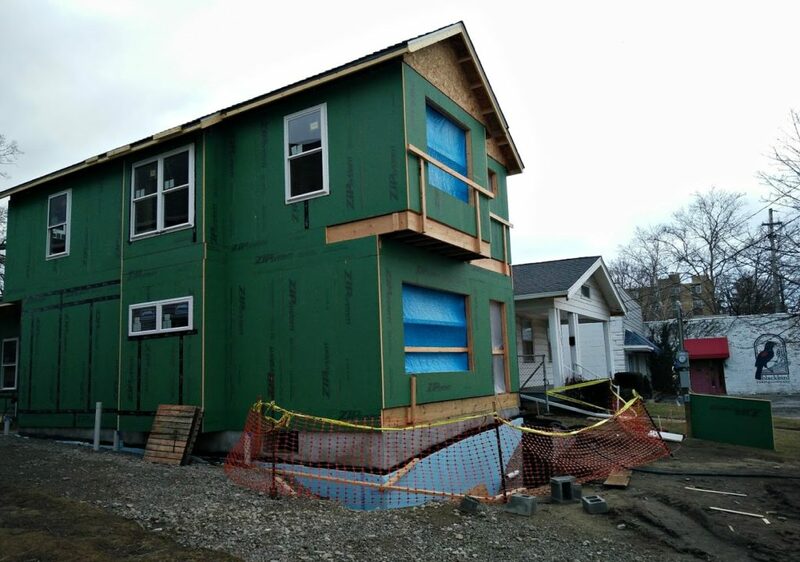 Builder Dana Paul is at it again, bringing unique housing stock to Lakewood. Not long removed from the successful completion of a beautiful new home in the historic Scenic Park Neighborhood, the Lakewood resident and friend of LakewoodAlive has a fresh project underway less than a half-mile from Scenic Street. 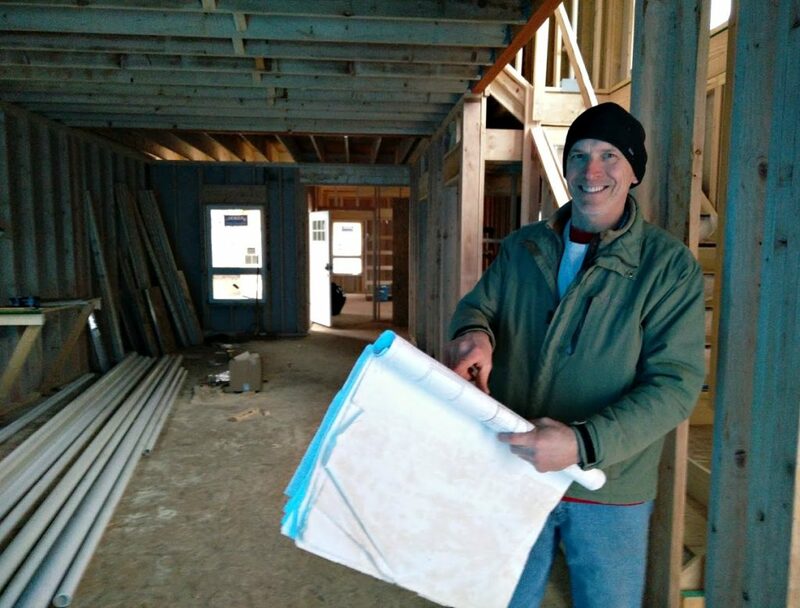 Builder Dana Paul shows off the first level of his Edanola House Project. 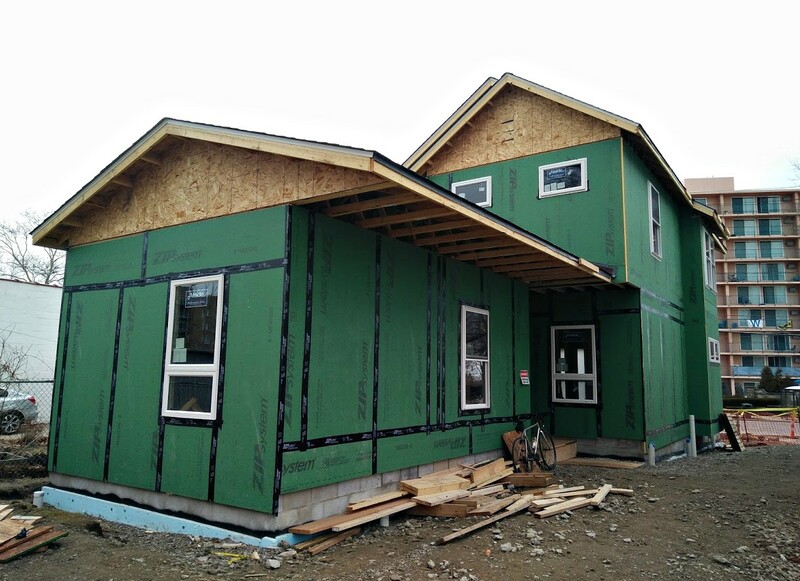 Led by Paul, Prairie Stone purchased the land at 1383 Edanola Avenue last year after being selected to build a new single-family home on the property as part of the City of Lakewood’s 21st Century Housing initiative, which promotes housing stock diversity. The home will incorporate a first level that is ADA accessible thanks to features like a first-floor master suite, wheelchair accessibility and the ability to install an entrance ramp. Since breaking ground in November, Paul has worked diligently employing his trademark craftsman building style that emphasizes handcrafted quality and keen attention to detail. The home’s frame has risen and plumbing work has commenced. Situated on an irregular lot with easy walkability to numerous amenities, the Edanola home will offer just under 1,800 square feet of living space with four bedrooms and five bathrooms (three full and two half). It is expected to be completed and listed for sale by this fall. 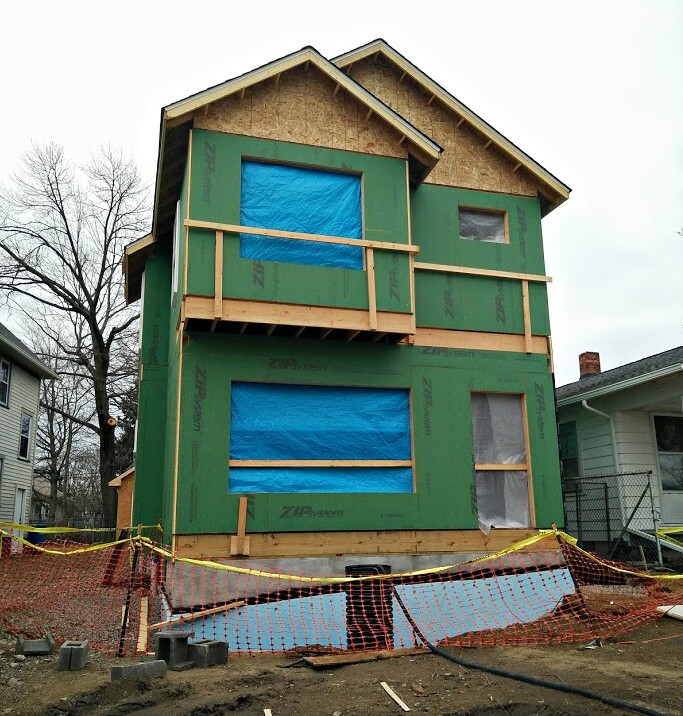 The downstairs level of the home at 1383 Edanola Avenue will feature a master bedroom with en-suite bathroom. The downstairs level will feature a spacious master bedroom with en-suite bathroom, a separate half-bathroom, hardwood floors and an open-living concept for the kitchen, dining room and living room. The washing machine and dryer will be placed on this level. 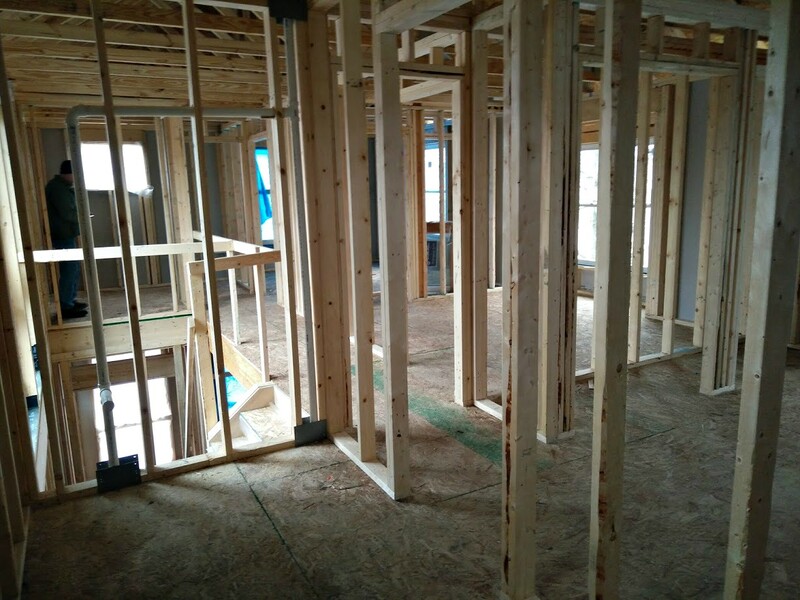 The upstairs level will include a “mini-master bedroom” with en-suite bathroom, an additional full bathroom and two more bedrooms, one of which offers a view of Lake Erie in the distance. A finished basement with an additional half-bathroom. 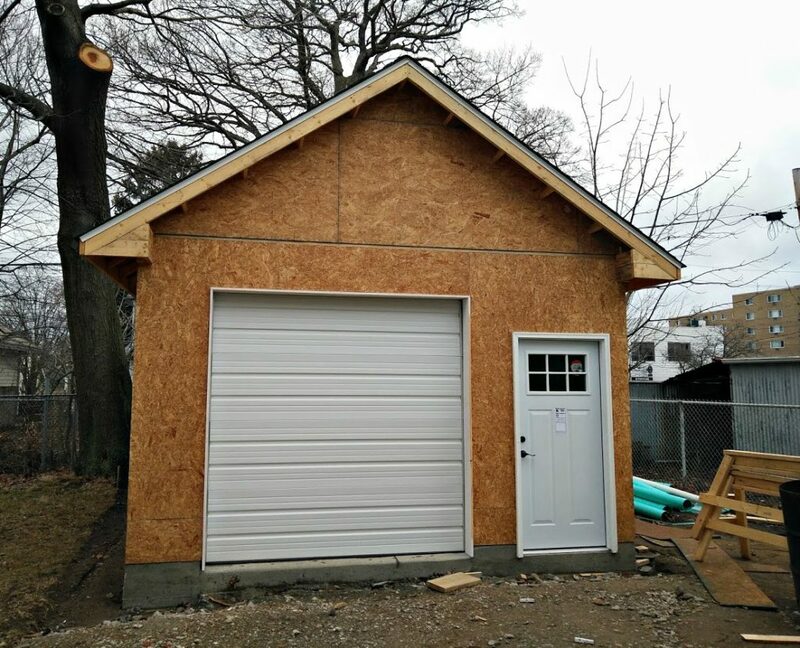 A garage door that is eight feet tall in order to accommodate a wheelchair van. Kitchen modifications, including to the sink and kitchen island, to allow for better wheelchair accessibility. For Paul, the Edanola House Project represents an opportunity to construct a home that could someday accommodate a family that otherwise might have needed to move outside of Lakewood. Furthermore, it is a chance for him to capitalize on a prime location. “I was drawn to this project because of the opportunity to construct a home that follows the Universal Design guidelines, and also because this location offers easy walkable access to the Metroparks, public transportation, restaurants and other local amenities,” said Paul. LakewoodAlive will provide further updates regarding Paul’s Edanola House Project in the coming months.